I defy anyone with a background in exercise science, education, physical therapy or child growth and development to look at the competitive and training calendar of high-level club volleyball players and tell me there’s no need for concern. For discussion purposes, I’ll tell you about a 9th-grade athlete I coached last year in club. In June, immediately after the school year was complete, her high school practices began with “voluntary” open gym sessions. (Everyone knows that it’s only voluntary if you don’t plan on starting.) These workouts were scheduled even though the high school coach knew the club team was in the final stages of training for Junior Nationals. There were days when this athlete participated in 2 practices and was on the court for 6 hours. After Junior Nationals, she went to High Performance camp, which lasted from mid to late July. Next, there was high school team camp, followed by the start of formal high school practice in early August. Mixed into all of this was the expectation that she attend collegiate camps since she’s an athlete who hopes to play at the next level. The high school season lasts until mid-November. After a week off, the club season begins, and it goes until July. Then, the cycle repeats. I hear continual moaning from college coaches about how many incoming freshmen arrive on campus with overuse injuries. Geez, I wonder why? All the involved parties – high school coaches, club coaches, high-performance coaches and college coaches – would probably agree that taking time off for a physical and mental rest would be in the athletes’ best interests. You even hear lip service about encouraging them to play multiple sports. But the competitive calendar for USAV events begins in early January, with qualifying tournaments for Junior Nationals starting in March. All of these events impact the National Championships in July. So when is the athlete supposed to play another sport? 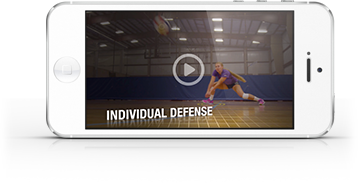 Eliminate open gyms for high school athletes if they’re still playing club volleyball. Don’t hold USAV events that impact the ability to qualify for a national event before March 15th, including both regional or national qualifiers. This gives athletes a legitimate opportunity to play multiple sports by focusing the winter months on skill development and team play rather than results. Make it mandatory for athletes who are returning from the USAV National High Performance program (Youth National Team) to take a week off from high school activities. As coach of the Youth National Team, I was amazed that athletes were expected to attend high school practices immediately after returning from the Youth World Championships. Come up with a different tryout format and time frame for USA High Performance. To ask athletes to attend a 4-hour tryout the night before starting a 3-day national qualifying event is unfair to the athlete and the club coach. Implementing these changes would require all involved to be flexible and “give” a little bit. But the long-term benefits for these young volleyball players would make it well worth it.